Paul Groves Previews AFLW Round 6 BulldogsTV spoke to AFLW Coach Paul Groves about the latest on his team, and their preparation for their first interstate trip for Round 6 against Brisbane Lions. The Western Bulldogs have included four big names for their match against the Brisbane Lions to be played at South Pine Complex on Saturday morning. Ellyse Gamble, Jesse Gardner, Kirsten McLeod and Rebecca Neaves all return to the side that will take to the road for the first time in this inaugural AFLW season. The Bulldogs have lost captain Katie Brennan and Aasta O'Connor for the season as a result of injury. Brennan strained a quad at training this week, while O'Connor had minor clean-up surgery on her knee on Monday. Bulldogs' coach Paul Groves said the return of McLeod from a concussion should add further potency to a Bulldogs forward line that was impressive last week against Carlton. "She was leading the shots on goal in the comp up until last week when she didn't play, so she's really dangerous and it will take a fair bit to stop her on the day," he said. McLeod has kicked three goals in her four matches so far. Only Ellie Blackburn, with five goals (including three last Saturday at Ikon Park), has kicked more for the Dogs this season. With Aasta O'Connor not making the trip north, Gamble will shoulder the bulk of the Bulldogs' ruck duties against the Lions. 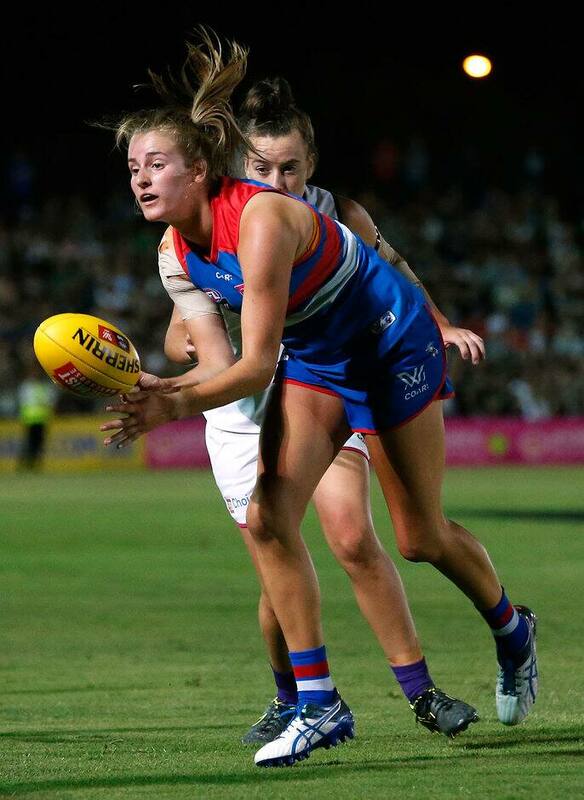 The inclusion of Jesse Gardner will provide the Bulldogs with yet another forward option, while the athletic and agile Rebecca Neaves, returning for her first game since round three, will be looking to get a run through the midfield. Groves said last week's barnstorming final quarter against Carlton gives the side confidence that it can match it with the undefeated Lions. "It was almost back to the performance in Round 1 against Freo, Groves told westernbulldogs.com.au on Thursday. “We took our chances in front of goal so we take a fair bit of confidence heading into Brisbane. “They're flying, clearly, at five and zip. They did have a huge game last week in Adelaide and they're really well coached and playing some good exciting footy. We're going to have to be up and about to beat them but we've certainly got that talent in our squad that we think we can get there."